Powered enclosure with 15" LF driver and DSP. 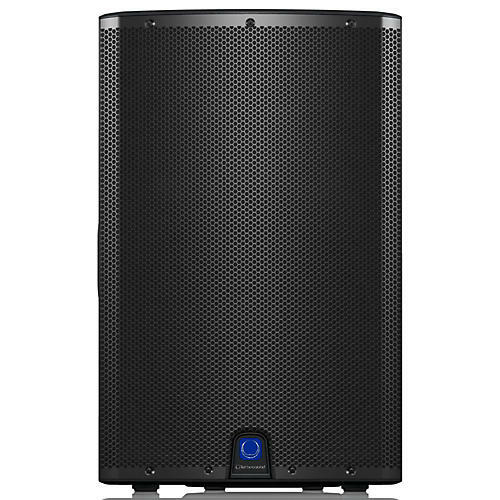 The 1000-Watt iX15 is a powered two-way 15" loudspeaker with Bluetooth* audio streaming, ideally suited for a wide range of portable and fixed music and speech sound reinforcement applications. A state-of-the-art KLARK TEKNIK DSP controls the built-in 3-channel digital mixer via a single-knob user interface, and provides comprehensive wireless remote control via its dedicated app for iPhone/iPad. The iX15’s powerful 15" low frequency driver and 1" titanium dome compression driver ensure highest-quality low end, extended high frequency reproduction and articulate midrange reproduction. The iX15 is fitted with a dual angle pole mount socket, allowing it to be mounted straight on or raised higher and angled downwards to optimize audience coverage. The lightweight fiberglass-reinforced composite enclosure is fitted with a rugged powder-coated perforated steel mesh grille. Thanks to Class-D amplifier technology, the iX15 provides enormous power and incredible sonic performance in an easy-to-use, ultra-portable and lightweight package. Class-D amplification makes all the difference, offering the ultimate in energy efficiency and eliminating the need for heavy power supplies and massive heat sinks. The lightweight Switch Mode Power Supply, coupled with the industry-leading KLARK TEKNIK Digital Signal Processing (DSP) module, provides dynamic equalization and sophisticated limiting functions, ensuring optimal performance and long-term reliability. KLARK TEKNIK is recognized worldwide as one of the most prestigious British audio companies, with a 40-year pedigree and a TEC Lifetime Achievement Award to back it up. The Company has designed and manufactured products for world-class artists, and their legendary DN780 reverb processor is considered by leading audio engineers around the world as the industry standard. Turbosound takes Bluetooth a step further, giving you total control of the iX15 directly from you iPhone or iPad. This amazing feature lets you adjust all settings from either the listening area or the stage, for the perfect sound every time. The iX15 Bluetooth app even allows the user to define one iX15 as the master, and the other as the slave – so the music stream is presented in true stereo. On the rear panel amplifier module, you will find a fully featured user interface consisting of an LCD display and single rotary encoder for intuitive access to level, EQ, and frequency response presets for pole or stand-mounted front of house, or floor monitor scenarios. In addition to the two combination balanced XLR/jack inputs, an XLR Output is provided for daisy-chaining more active loudspeakers, or for use with an active subwoofer. Professional sound and state-of-the-art DSP. Order soon.